Between 1922 and 1940, Aimo Johannes Lahti designed some of Finland’s best small arms, including pistols, submachine guns, machine guns and anti-tank guns. Until the end of World War I, Finland had been an autonomous Grand Duchy of the Russian Empire and, as such, relied on Russian small arms. The Mosin-Nagant was Finland’s standard-issue rifle even after independence. In 1919, the newly independent Finland began a program of indigenous small-arms development, which resulted in Finland adopting many of Aimo Lahti’s firearms. Some of Lahti’s best designs include the Lahti L-35 pistol, the Lahti L-39 20-millimeter anti-tank rifle, the Suomi KP/-31 submachine gun and the Lahti-Saloranta M/26 light machine gun. Lahti dropped out of school at a young age but became fascinated by firearms in his teens. After working various jobs, he served a year with the Finnish army, which fostered his interest in firearms. After a spell working on the Finnish railway in the 1920s, Lahti returned to the army as an armorer. In 1932, the Finnish defense ministry appointed Lahti head light-weapons engineer. He eventually became a master armorer and the director of the Finnish National Arsenal. In the mid-1920s he began work on his first designs. 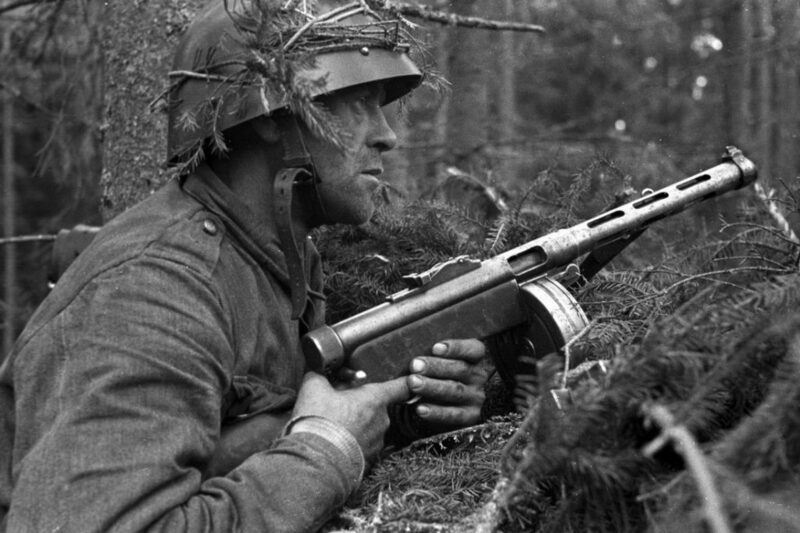 After examining a Bergmann MP18, Lahti began work on submachine guns — the Suomi M22 and later the M26, which formed the basis for Lahti’s later Suomi KP/-31. The Suomi KP/-31 used a straight blowback system and was chambered in nine-millimeter. It fed from a box magazines or from 40- and 71-round drums. The Finnish army adopted the KP/-31 in 1931 but fewer than 5,000 had been produced by the time the Winter War began in 1939. The Suomi proved to be robust, reliable and accurate due to its long, 12.5-inch barrel. It was produced under license in Sweden, Denmark and Switzerland. The 71-round drum inspired the now iconic drum of the Soviet PPSh 41. The second of Lahti’s design that the Finnish government adopted for service was the Lahti-Saloranta M/26 light machine gun, which Lahti designed alongside Arvo Saloranta in 1926. The M/26 was arguably one of the interwar period’s better light machine guns, although it suffered from being overly complex and somewhat heavy. The M/26 featured a recoil-operated system and could fire accurately in single-shot or fully automatic modes. It fed from a curved, 20-round box magazine or a 75-round drum that loaded below the receiver. As with the Suomi, Finnish industry produced relatively few M/26s. During the Winter War, the Finns captured vast numbers of Soviet light machine guns and pressed them into service. While the L-35 shared a passing physical resemblance to the pistol it replaced, it shares no mechanical similarities. The Lahti used a rectangular bolt that was enclosed within the receiver and locked at the breech when in battery. The L-35 is notable for having an accelerator, a feature usually only seen in machine guns. This ensured that the weapon remained reliable in sub-zero conditions. The inertia of the recoiling barrel sped up the bolt’s rearward travel. Finnish factories completed a run of the pistols without the accelerator during the Winter War, but these were less reliable than were the pistols with the accelerator. The pistol was chambered in nine-millimeter and fed from an eight-round, single-stack magazine. Interestingly, the pistol couldn’t be field-stripped, as the receiver fully enclosed the action, which very effectively prevented dirt from entering. As with Lahti’s other weapons, Finnish industry completed very few L-35s — no more than 15,000 — between 1935 and 1951. Sweden licensed a copy and produced it as the Lahti Husqvarna Model 40. The Swedes manufactured 80,000 Lahtis and used them through the 1980s. Lahti also developed larger-caliber weapons, including the L-39 20-millimeter anti-tank rifle and a number of anti-aircraft guns such as the dual-mount, 20-millimeter cannon. The L-39 was a direct development of Lahti’s earlier anti-aircraft cannons and fired the same round. The L-39 fed from a top-mounted, 10-round magazine and featured a gas-operated, self-loading action. By the beginning of the Winter War, only a handful of the anti-tank rifles were in service and they saw limited use. When the Continuation War began in 1941, the Lahti’s 20-millimeter round proved ineffective against the more modern Soviet armor. 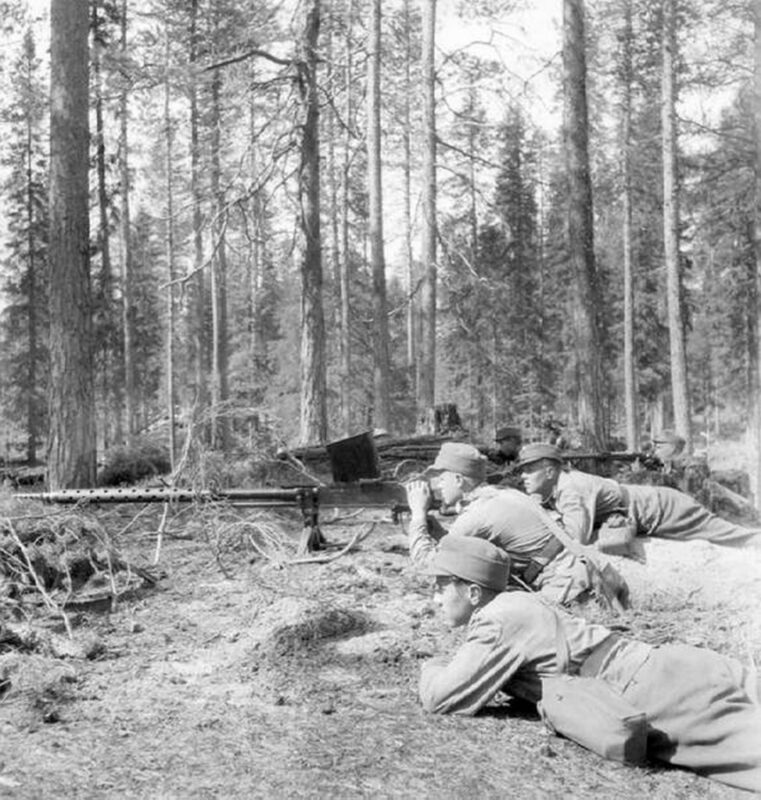 The Finns relegated the gun to an anti-materiel role, firing it against Soviet defensive positions. By the 1940s, the concept of anti-tank rifles — even 20-millimeter ones such as the L-39 — was increasingly obsolete in the face of armor’s rapid development. The L-39 is easily recognizable. Skis attached to its bipod, allowing it to be pulled in snow. At 94 pounds unloaded, this would have been a colossal burden for its crew. Lahti’s weapons were robust and reliable — and were instrumental in Finland’s rearming following the end of World War I. Lahti died in 1970 at the age of 74.